It’s a skull of a cow and painted on flower designs. I got inspired by the tradition of drawing designs, mostly flowers and names, on human skulls in the past. 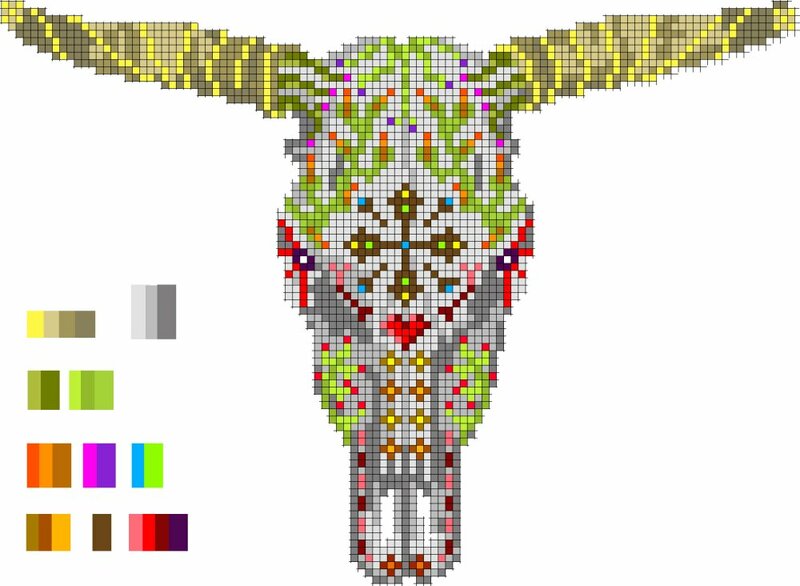 The idea to use a cow skull in combination with flowers “painted on” came across my mind. First I wanted to make a print or just paint this Idea. 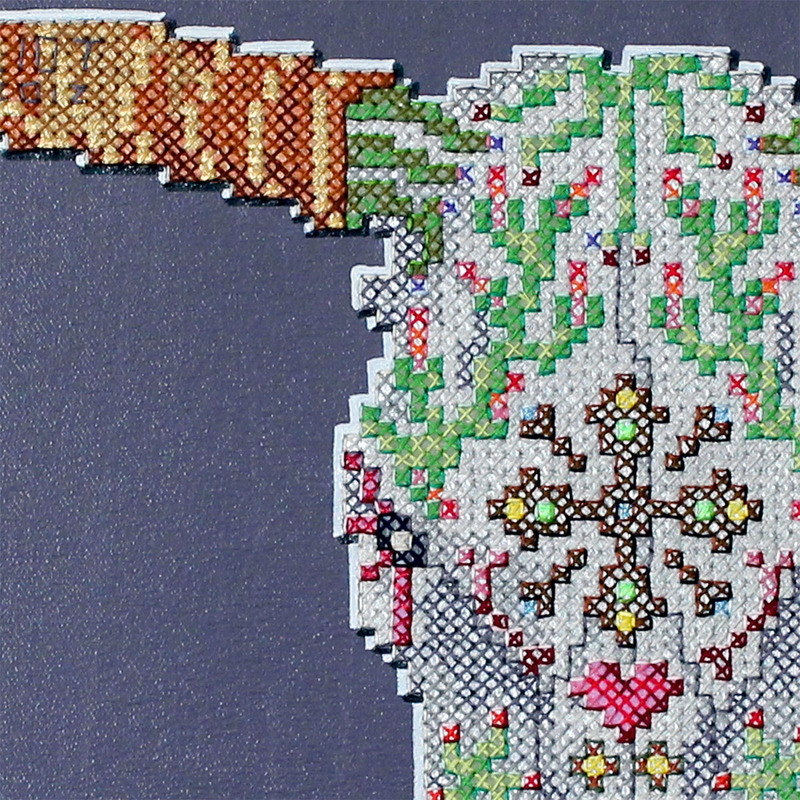 But then X-stitch made sense in my brain. I created the design in Photoshop by hand, meaning picking each colour and setting the pattern myself. 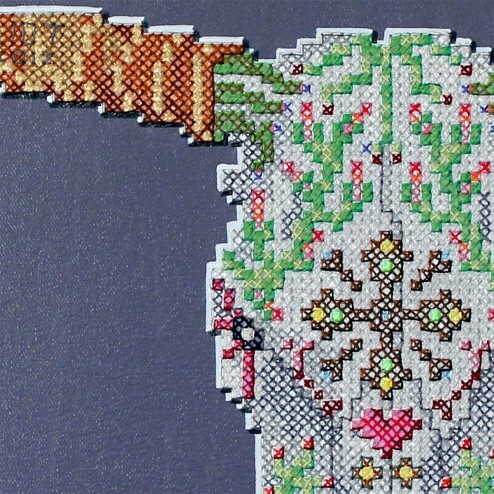 I hate automatically, computer generated patterns by the way – in my opinion it needs the aesthetic decision of a human to reduce form and colour for embroidery. I am really happy with the result and think it turned out really cool. 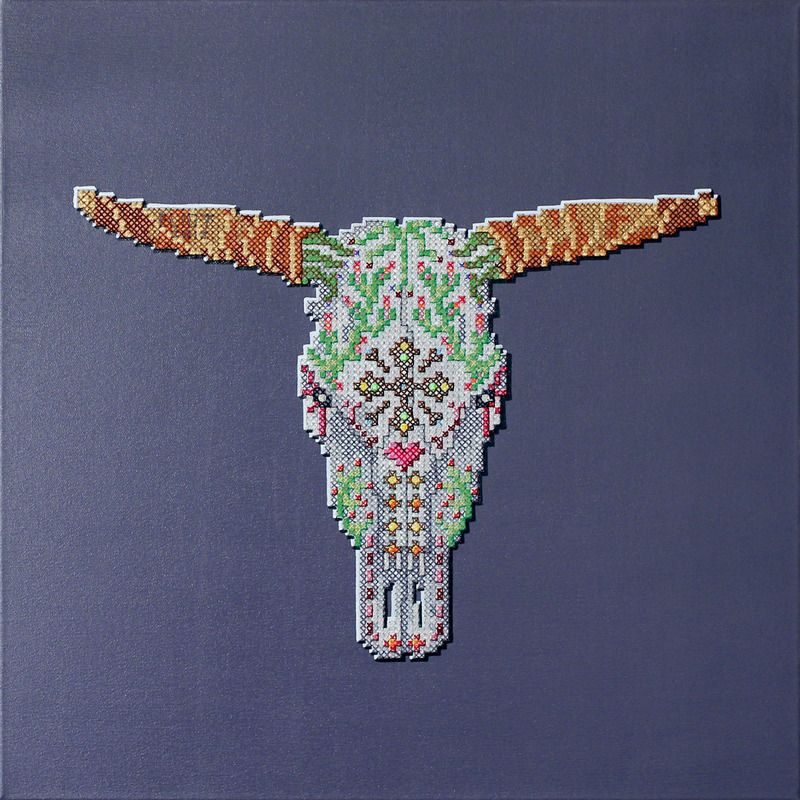 Maybe it is the combination of archaic tradition, the display of a dead animal skull in combination with the old tradition of X-stitch what makes it so beautiful – without the granny-cute aftertaste. 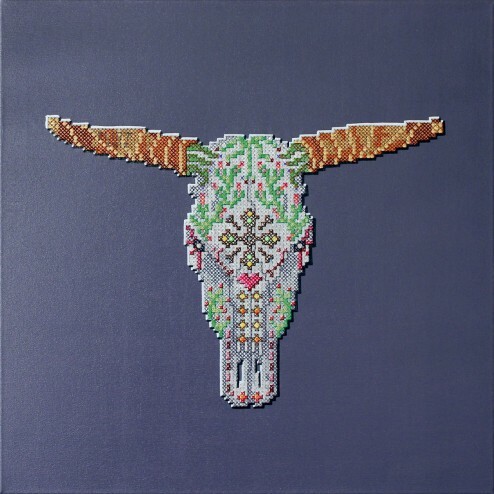 Size is 80x80cm on high quality canvas. Background in acryl and marker.